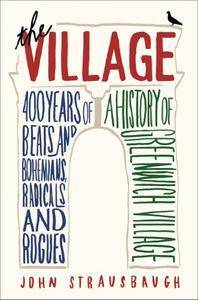 Cultural commentator John Strausbaugh's The Village is the first complete history of Greenwich Village, the prodigiously influential and infamous New York City neighborhood. From the Dutch settlers and Washington Square patricians, to the Triangle Shirtwaist fire and Prohibition-era speakeasies; from Abstract Expressionism and beatniks, to Stonewall and AIDS, the connecting narratives of The Village tell the story of America itself. 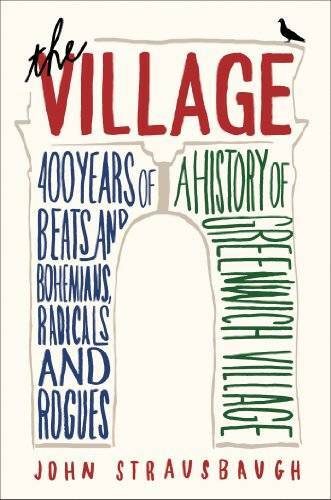 Illustrated with historic black-and-white photographs, The Village features lively, well-researched profiles of many of the people who made Greenwich Village famous, including Thomas Paine, Walt Whitman, Edna St. Vincent Millay, Mark Twain, Margaret Sanger, Eugene O’Neill, Marcel Duchamp, Upton Sinclair, Willa Cather, Jack Kerouac, Allen Ginsberg, Jackson Pollock, Anais Nin, Edward Albee, Charlie Parker, W. H. Auden, Woody Guthrie, James Baldwin, Maurice Sendak, E. E. Cummings, and Bob Dylan.